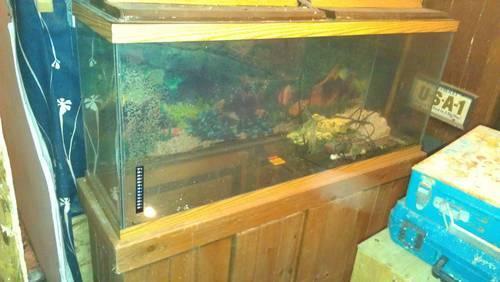 75 gallon fish tank with stand,light and supplies. I'm looking for a dining room table and chairs prefer the bar height ones to trade or 100.00. 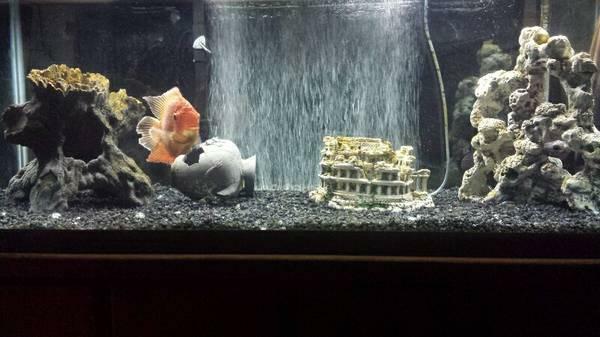 I have a 75 gallon tank and stand. I also have a couple of items like a heater and a faucet adapter that i will throw in with it. The tank has LED lights both day and blue for at night. I need it gone as soon as possible.